Chief Sotonye Davids kept on trying his daughter’s lines but all of them were switched off. At first her MTN line had been busy and subsequently switched off. It was so unlike his daughter to switch off all her lines at the same time. He had expected her home hours earlier and she hadn’t called to say she would be late. She had missed her flight to Lagos. Her bags were packed and still in her bedroom. He thought of calling the police but felt that it was too early to do so. She might return with a good excuse for not returning home in time. Ibitoru woke up in the middle of the night, opened her door quietly. The sitting room was dark and so was the passage. She went into the bathroom where she attended to her needs. When she was done, she shut the door, stopping to peep beneath Richard’s door. His room was in darkness. She returned to her own room, opened the door and shut it again so it would seem like she had returned to her room just in case Richard was still awake. She tiptoed, careful not to bump into anything. She quietly searched the drawers of a cupboard in the sitting room, cursing softly when she couldn’t find his keys. She tiptoed into the kitchen where she checked the cabinets. She didn’t plan on escaping that night. It was late. But if she found the keys she was searching for she could make her escape in the morning. She found a set of keys in the third kitchen cabinet. As she reached for the keys, another hand quickly snatched them up. He tossed her over his shoulder and turning the light off, carried her to his bedroom. He pushed open the door and a quick rush of cold air hit Ibitoru. He deposited her on her feet and flicked the switch, light pouring into the room. His room was like hers but the bed was bigger, the mattress thicker and looked more comfortable. An old model AC ensured that the bedroom was chilled. ‘Bloody pervert,’ she swore as she fled from his small but comfortable bedroom. She wanted an AC but not to her detriment. If he wanted a woman to share his bed, he should go outside and get one! She returned to her bedroom which felt warm after the few minutes in his air conditioned room. He could stay in his bedroom and keep on hoping that the crave for the AC would send her knocking on his door. She wasn’t that desperate. But she had one very uncomfortable night. The last time Ibitoru had pulled a stunt like this, she had a quarrel with her father and stayed out of home and incommunicado for three days. Sotonye raked his brain trying to come up with the reason for Ibitoru’s sudden disappearance. At least he was sure that she hadn’t left for Lagos. Her clothes were still intact in her bedroom. Nothing was missing. And she had been looking forward to this vacation for months. She wouldn’t give it up now. He tried her numbers a few more times and got the same response. Her phones had been switched off. Either she was playing an expensive game with him or there was indeed something to be worried about. With Ibitoru, it was almost impossible to make the distinction. If she’d had an accident, he would have been informed earlier, so the conclusion was ruled out. He called the airline services to see if she had booked another flight. The answer was NO. The fact that her clothes were in the bedroom didn’t necessarily mean that she couldn’t have travelled without them. His daughter was a spendthrift, so extravagant in her spending. She could decide to start her shopping all over again in Lagos. He wouldn’t put that past her. But the problem was this: she hadn’t travelled! 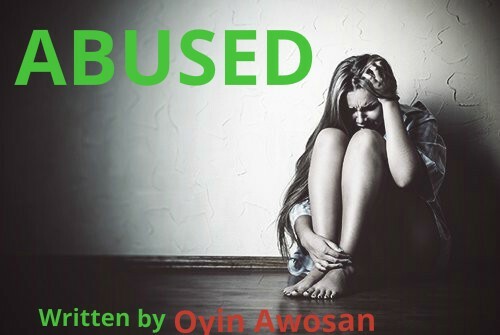 And he knew his daughter well enough not to suspect that she’d take a night bus to Lagos. Ibitoru would never take a public transportation on land no matter how comfortable. If she was going to go anywhere on land, it was going to be in her car or in a chauffeur driven air-conditioned car. She’d had a driver assigned to her throughout her stay in the States for the days when she didn’t feel like driving herself. As much as he believed that she was playing one of her expensive jokes, he thought that it was better to be safe than sorry and so he called the Rivers State Commissioner of Police, who owed his appointment to him, and asked him to kindly inform his men to be on the lookout for his daughter or her car. If Ibitoru returned and felt embarrassed by this, he knew how to calm her down. The man felt Ibitoru’s hateful glance pierce his back, through the shirt he wore and bit back a laugh. He was unlocking the front door, feeling the need to drive into town. ‘Where are you going to?’ she demanded. ‘Out,’ was his simple, annoying reply. That is for me to know,’ he replied. ‘Fat luck,’ he held the door open. He took a menacing step towards her and she retreated. ‘Don’t you dare tie me up!’ she screamed. ‘Don’t worry, you’re not my type,’ he returned. She stuck out her tongue at him. ‘So you think I’m beautiful,’ she smiled, her hands on her hips emphasizing straight spotless legs revealed by the boxers shorts, throwing her head back in a seductive manner. His face was inscrutable as he walked back to the door. He locked the protector with three heavy padlocks before shutting the door and locking it too. b******, she thought. You’ll pay for this. An hour later, she was still looking for a means of escape and meeting a dead end. Her right arm ached from trying to force his locked bedroom door open. ‘Damn you Richard!’ She swore under her breath. She searched everywhere, finding nothing. He had meant it when he said he’d left nothing she could use to make her escape. After two hours, she sat on the sofa feeling utterly frustrated. Why didn’t he just call her father and make his request? She asked herself. If he released her this week, she could make fresh plans for her vacation. I suspect ibitoru will b d first to fall in love. U see there’s a fine line between hate and love. I like the way the author is regularly updating d story.